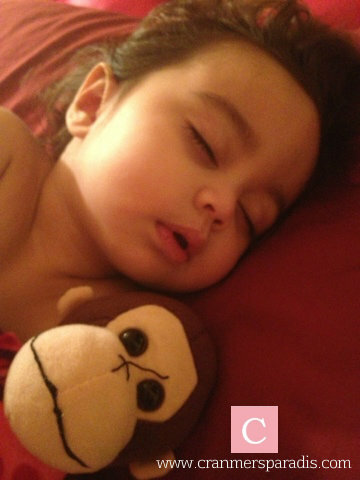 I pray to God that her fever will go away. I have been listening to my favorite song while waiting for the sun to rise. I've been watching my daughter's body temperature. She has been warm, and I freaked out like always because she's over a hundred degrees. I got high with my coffee anyway and couldn't fall asleep until now. What can I do?! Darn, my coffee got me pretty wired. Apocalyptica! I have not heard this group until I got here in the U.S. of A. My dude, which is my husband is actually an avid fan of Apocalytica. He made me listen to all their songs and I actually liked the one that's called Broken Pieces until it became my favorite. Right now, I can't stop listening 'Down with the Sickness' by Disturbed. It has been my favorite one too. I couldn't help myself to keep listening to it all day long. I just wished I could scream like he does (David Draiman). That would be cool. I have listened to their new album and I need to download it to my iPod and iphone someday but first, I gotta make some penny. We'll see if i'll get lucky. Anyway, my eyes kinda feeling heavy. I think I'm about to pass out. I wish. Goodbye everyone.